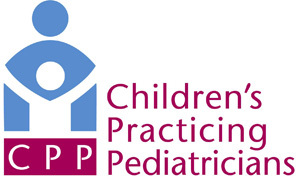 This toolkit was designed to provide practical information and resources for pediatricians to address common matters related to immigrant child health, including clinical care, access to resources, legal help and more. Click below for a list of resources throughout Ohio. Connects victims of domestic violence in the South Asian community to resources, case management, crisis intervention and provides advocacy. They provide interpreter and transportation services as well. Victims can call the free, confidential hotline for help and support. Provides case management services, health and wellness services, education programs (like ESOL, tutoring and summer camps), language and culture programs, and sport clubs for Bhutanese people living in Columbus, Ohio. Offers one-to-one community-based and school-based mentoring programs, as well as week-long, overnight camps during the summer for youth. In Franklin County, they offer a Hispanic Mentoring Program for Spanish-speaking youth and families. Visit the website or call to find out how to enroll a child. A faith-based organization that provides family support services to help families thrive. Their services and programs include counseling, post adoption services, transitional housing for individuals and families fleeing from abusive homes; case management, food and emergency assistance and more. Their community center, Our Lady of Guadalupe Center, provides support to the Hispanic community in Central Ohio through food and emergency assistance, nutrition and English classes, and health, employment and legal referrals. Promotes the common interests of Chinese Americans living in central Ohio. Visit their website for community events and more information. Offers ESL classes and Sunday services in Cantonese, English and Mandarin. Provides refugee youth ages 11 and up education, year-round soccer programming, after-school tutoring, academic enrichment summer camp, leadership training and other resources and support to empower them to succeed in academics, soccer, and to positively impact their wider communities. Tuition is free and they offer free lunch. This comprehensive information and referral service connects those in need with thousands of social service, government and community resources. They help find a solution to any need. Free and confidential, available throughout Franklin County 24 hours a day, 7 days a week. Represents colleges and universities that are committed to helping Hispanics achieve success in higher education. Thousands of young Hispanics benefit from HACU with internships, scholarships, college programs, pre-college support and career development opportunities and programs. Connects Hispanic professionals to the greater Columbus community by providing opportunities for business growth. Their website has information about community resources, job opportunities and more. Ensures that Hispanics have an equal opportunity to compete in all aspects of federal employment. Their website has information about career opportunities, community resources, events and activities for the Hispanic community. Provides free small group ESL classes at the University Baptist Church for women interested in improving their English. Child care is provided while the mothers attend classes. Offers Japanese language classes, free educational and cultural programs for the community. Visit the website for more information. LASER mentors serve as academic role models, as well as bridge builders, between Latinos in high school and Ohio State, Otterbein and Ohio Wesleyan University students. Mentees will meet 1-2 hours per week with their mentors. Meeting locations varies. Visit the website for contact information. A volunteer-based organization that empowers Latinos and builds strong Latino communities. Visit their resources page to find local and nationwide resources related to health care and behavioral health for various racial, ethnic and cultural groups. Provide additional access to health care at your child’s school. The services provided are not meant to replace your pediatrician or family doctor. Care Connection programs include: Pediatric Services, Mental Health Counseling Services, Mobile Care Center, School-Based Asthma Therapy (SBAT) and Wheelchair Clinic. Visit the website for the list of participating schools and additional contact information. Works to improve the lives of American Indian and Alaska Native (AI/AN) people throughout Ohio. They serve, protect, and promote AI/AN interests, concerns, needs, and services. They also advocate for the preservation and revitalization of AI/AN identities. Works for the health of Ohio’s Asian Americans by supporting community research, education and advocacy. Works to eliminating disparities in minority health through financial opportunities, public health promotion, legislative action, public policy and systems change in Ohio. Minority populations include: African American, African, Asian, Pacific Islander, Hispanic, Latino American and Native American Indian. A program of services and benefits created to help refugees, asylees, Cuban/Haitian entrants and certified victims of human trafficking. Coordinates federal funding for health screenings, services for older refugees, programs for school-age refugees and employment programs for adults. Refugees may be eligible for cash assistance, medical assistance and social services. Applications for benefits need to be made through a local county department of job and family services. Represents and advises key policy makers in regards to Hispanic issues, and connects Latino organizations throughout Ohio. Has a list of state-wide resources for Latinos on their website, including a list of interpreters, attorneys, health and social service resources, church listings, directory of English as a Second Language (ESL) services and more. Patients are seen at the Rardin Family Practice Center. Services are provided for those who have no health insurance and have a low to moderate income. Call for more details. Provides a safe, supportive learning environment for Latina girls ages 2-17 and their mothers. Their programs focus on self-esteem, culture, development and health. Visit the website for the time, dates and locations of their meetings. Provides coverage for the treatment of emergency medical conditions for refugees who have been in the country for less than 8 months, have a low income and are not eligible for Medicaid. Applicants must provide proof of income, pregnancy, citizenship and other health insurance (if applicable). This program offers health coverage for a limited period of time to refugees upon their arrival in the United States. Addresses the social and cultural needs of the Turkish American community living in Columbus, Ohio. Oversees lawful immigration to the United States. Their website has information about immigration and citizenship laws, resources and immigration forms, including fees associated with filing the forms. To speak to an immigration officer, you must schedule an appointment by calling or registering online. Provides help and solutions for refugees, victims of conflict and stateless people around the world. Their website has a wealth of information, including a helpful glossary of terms and answers to frequently asked questions about immigration and visa issues. Provides refugee resettlement services to newly-arrived refugees from many countries. Services include ESL classes and tutoring, financial help, educational classes, interpreting and help with employment. A community magazine about Latinos at OSU. Their website has information about resources, events, career opportunities and more.